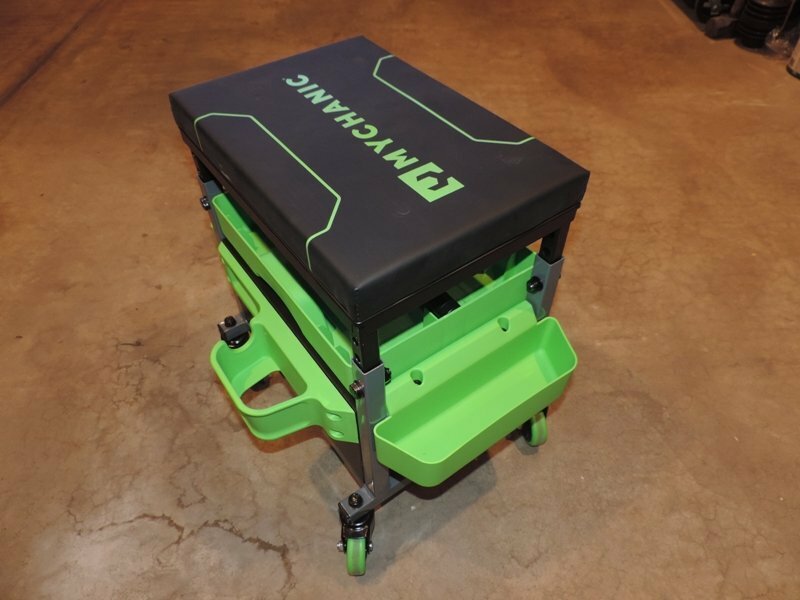 The MYCHANIC SK2 stool is the perfect accompaniment for anyone working around cars or in a shop. 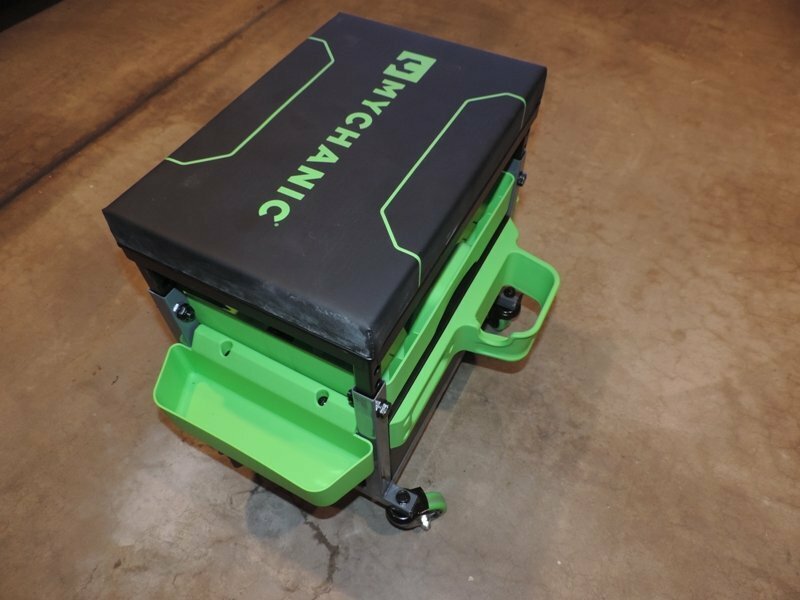 This padded rolling seat will become a vital shop tool for one and all, showcasing a variety of perfectly designed ideas in a Kelly Green stool. Let’s count the top seven ways that this SK2 shop stool excels! First off the SK2 stool is adjustable in height from 17” to 20” with a total of three seat heights. For our 6’1” frame, the full up 20” seat height was perfect. Remove four nuts and bolts and find the perfect height that suits you. Second, we love the 3” urethane casters that roll right over the deep expansion cracks in our concrete floor. No more getting caught and having the stool fall over! Third, the stool has a green holster on the side to hold any gun like device. Great for holding a drill or impact gun. So nice to have a place to securely hold these bulky tools. Fourth, the bottom drawer can securely hold the tools that you most often are using on your job. 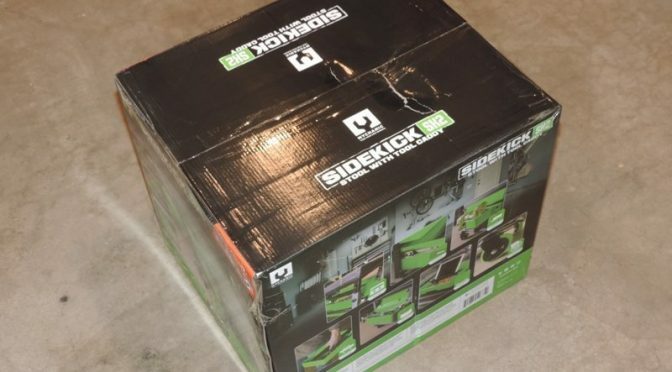 No more trying to find that wrench or socket scattered around the shop floor. 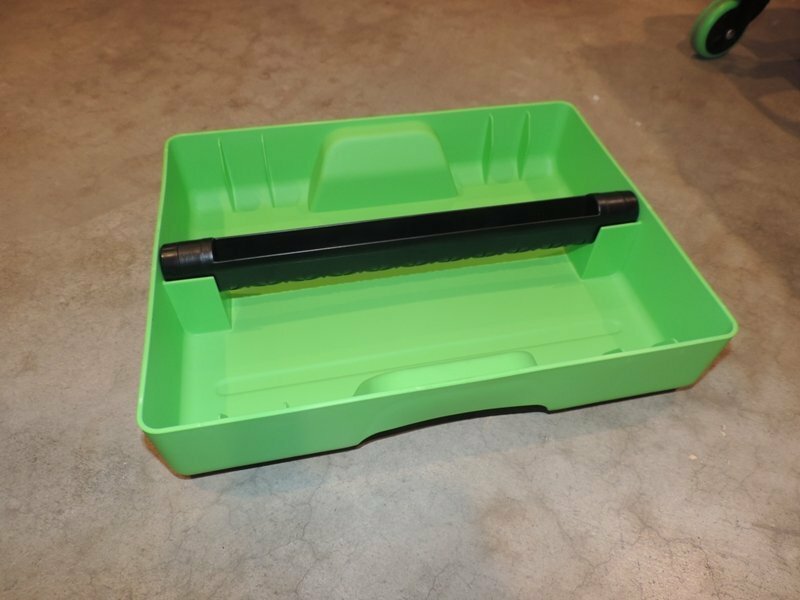 Fifth, the tool caddy which rests on the top of the tool drawer has subtle indentations to hold it securely in place but you can easily pull it out to retrieve the tools. And that comfy handle also has a slot to hold a tablet or phone. So not only can you easily answer phone calls while working away, it’s easy to review your favorite repair video or on line shop manual while plugging away late at night. 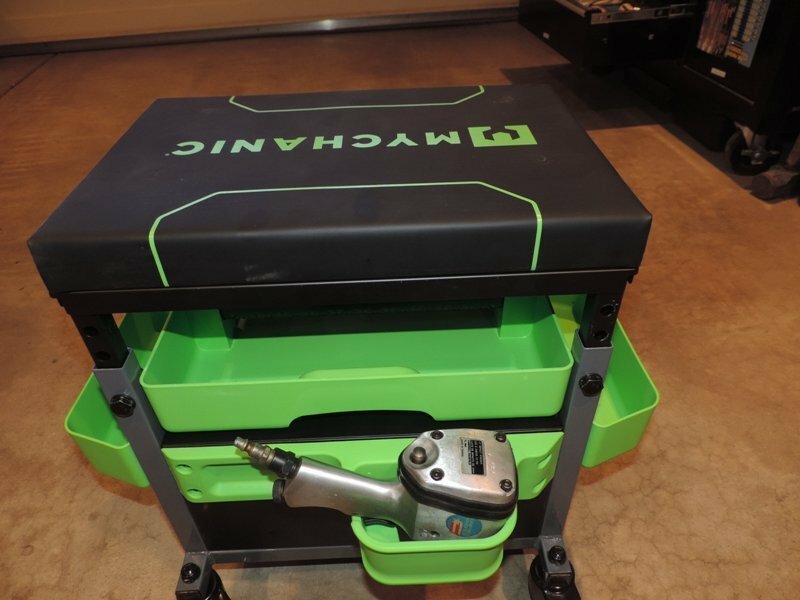 Sixth, did I mention the folks at MYCHANIC used their Kelly Green coloring here on the rolling shop stool? It makes it easy to stand out and be visible when hunting around for your gear. Seventh, the two sides of this rolling masterpiece have pockets (or bins) to hold critical pieces you might want ready access to. Great place to hold the nuts and bolts as you assemble or disassemble items. We were given the SK2 to check out and gave it a whirl in the shop. We’ve been impressed with the design behind all the MYCHANIC products, like their Blade Multi Light. Check out their full lineup and you will be too. But be warned once you try out their tools, you’ll be sold and want more! **Editorial content is not provided by any of the companies mentioned and has not been reviewed, approved or otherwise endorsed by any of these entities. Opinions expressed here are the authors’ alone.